Our discussion about how AxisPoint continues to evolve Coordinated Care Management Driven by Innovation continues with Mary Jane. See links to previous interviews with AxisPoint executives below. 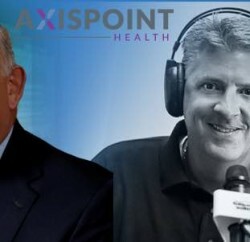 (2:32) I know it’s been an exciting year for AxisPoint Health. Will you catch us up about what has gone on since we spoke with Chris Long last summer and what it means for the company and its future? (3:25) Let’s discuss the state of care management. What are the most common barriers that stand in the way of a successful care management program? (5:45) Statistics show that members with chronic and complex conditions makeup 5% of the US population but account for 50% of annual healthcare spending. What are the best strategies for payers to improve health outcomes for these members while generating ROI? 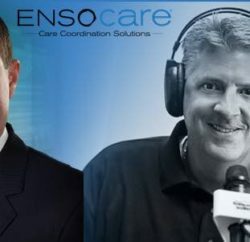 (7:35) What are the key components of an effective, nurse-driven care management team? (8:54) What trends are you witnessing in the payer market in terms of care management? (10:41) What’s next for your customers? What are you working on at AxisPoint Health that your customers will get excited about? Visit AxisPoint Health on the Web and follow them on Twitter, and LinkedIN! AxisPoint Health’s mission is to improve the health, coordinate the care, and lower the health care costs for our clients and their members. It is AxisPoint Health’s vision that our clients and members will have access to the best, most innovative, and most efficient technology, tools, and services to empower members to make the right choices for their health. Empowered consumers, enlightened providers, and knowledgeable payers working together can improve our health system. With 30 years of experience providing access to care for populations across the continuum, AxisPoint Health is a company with a long history and a clear vision for the future of population health management. 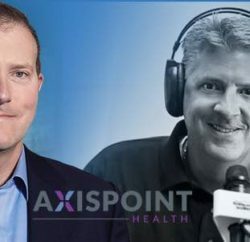 AxisPoint Health was created to bring proven approaches to care management into the new era of healthcare while innovating and advancing the state of the art in population health. Navigating the transformation of the health care system is complicated, and we are dedicated to supporting our clients and treating their members and beneficiaries with the utmost professionalism, clinical quality, and compassion. Mary Jane Konstantin, RN, is the Senior Vice President and General Manager of CarePoint for AxisPoint Health, responsible for operational, strategic, and clinically-focused leadership behind the delivery of the company’s innovative care management services. Ms. Konstantin has over 25 years of experience with clinically-based solution delivery, utilizing data-driven metrics and innovative technology to achieve successful program outcomes. She has served in operational leadership with numerous health plans and specialty providers, including senior-level roles with Ceridian HCM, NIA/Magellan Health Services, and CareFirst BlueCross BlueShield. Ms. Konstantin holds a Bachelor of Science Degree in Nursing from Vanderbilt University and a Master’s Degree in Health Services Administration from George Washington University.